Although I live in France, this picture was taken during one by numerous business trips to California. 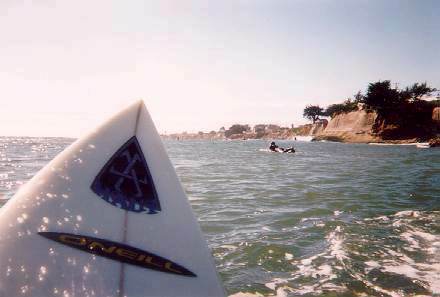 Here I'm sitting on my board, and I take the picture using a small waterproof camera, of the spot located at the end of the 41st, in Capitola. Very nice vista point.